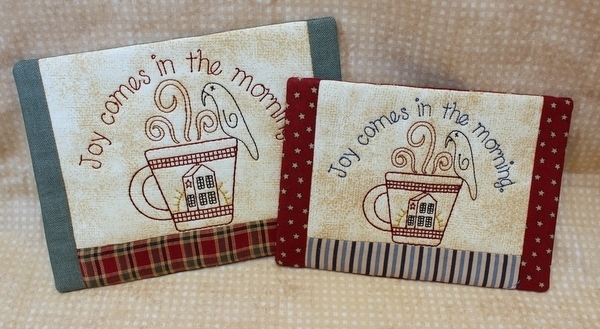 Primitive Joy Mug Rug - 2 Sizes! 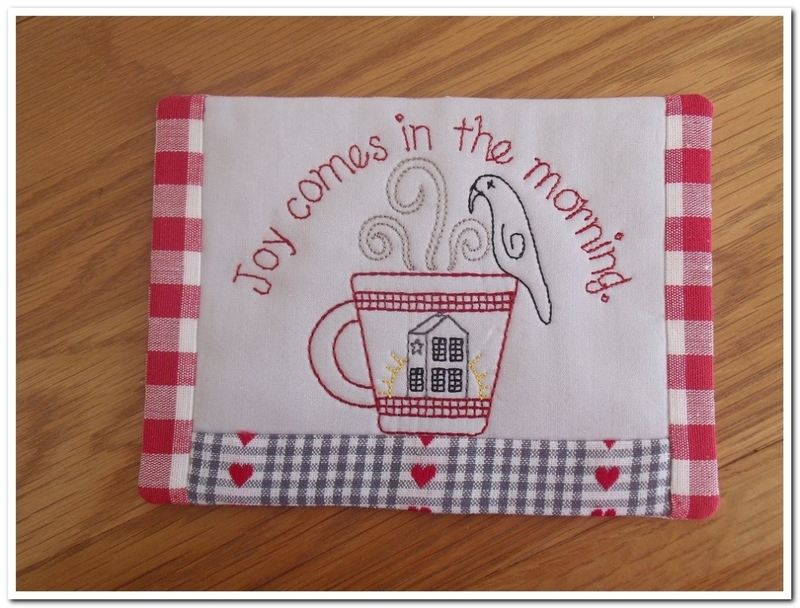 This primitive/country style mug rug can also be used as a mini quilt. 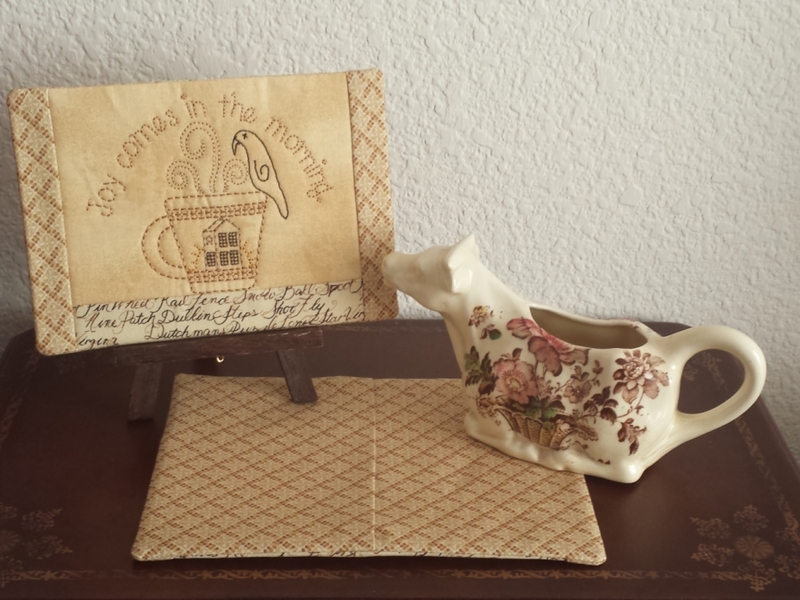 Place it on shelves, attach a center hanger and use it as wall art, or place it on a small easel. 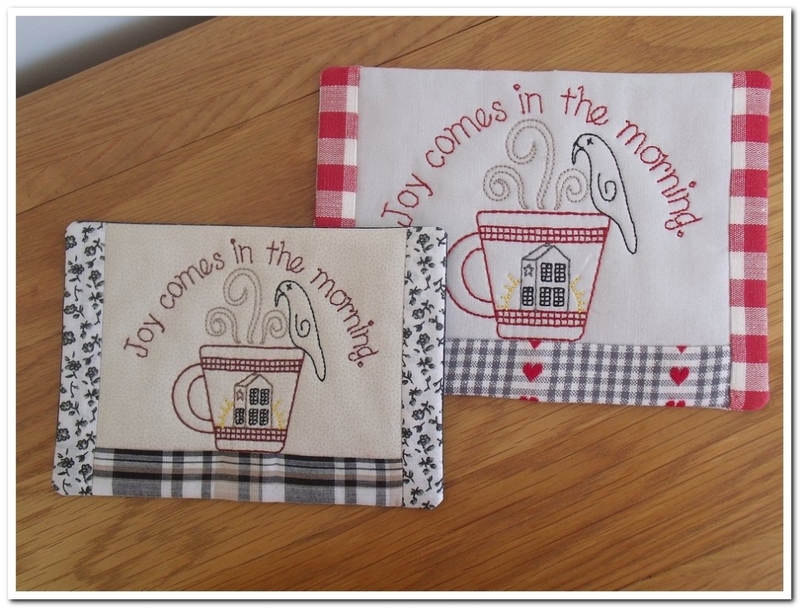 You are receiving two sizes of the mug rug: one for 5x7 hoops, the other for 6x8 or larger hoops. 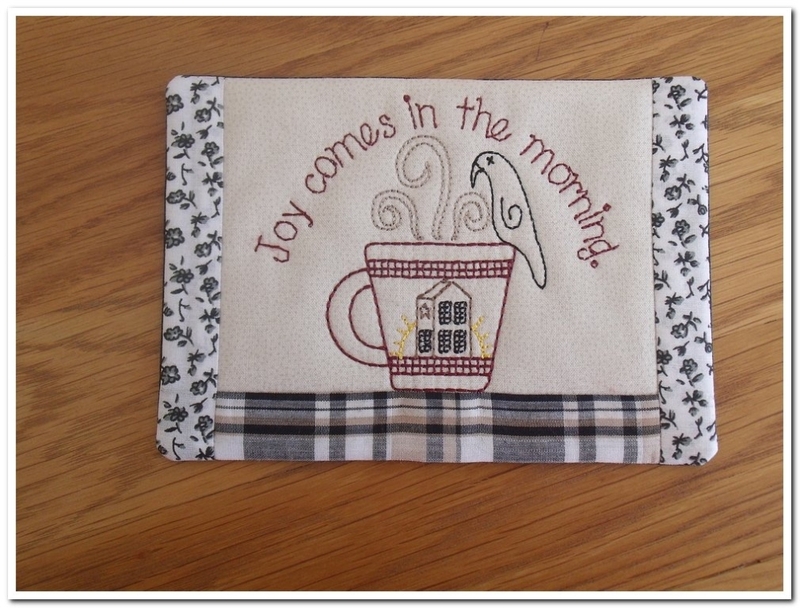 You are also receiving the mug rugs without the center design. In total you are receiving 4 stitch files. For 5x7 and 6x8 or larger hoops. 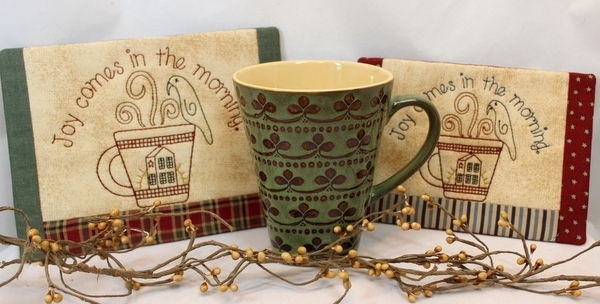 mug rugs without the center design. In total you are receiving 4 stitch files. For 5x7 and 6x8 or larger hoops. 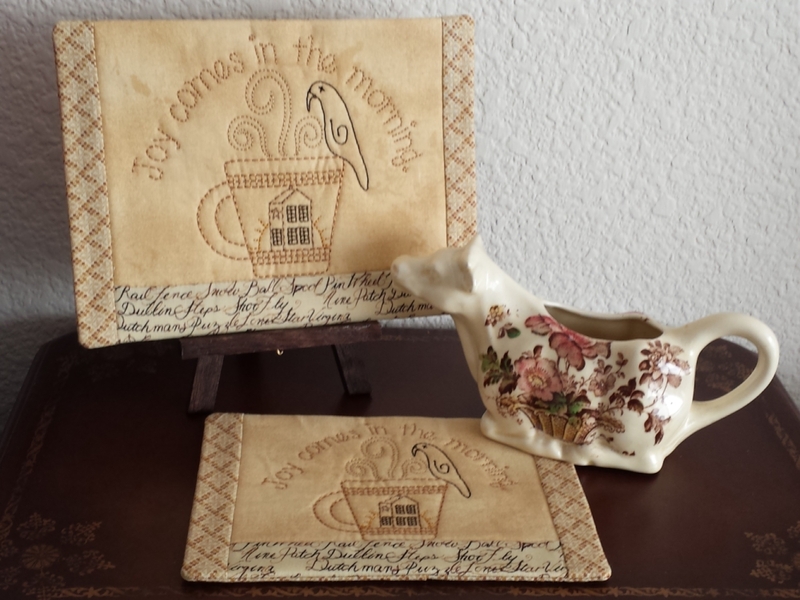 Primitive Willow Mug Rug - 2 Sizes!